You want your friends to remember they had the best time at your Super Bowl party. Here are some tips. If you’re throwing a Super Bowl party, you want it to be memorable for all the right reasons. Here are five suggestions to make sure your guests remember they had a great time. Know ahead of time how many pizzas, burgers, chips and wings you're going to need. If it's a potluck, assign everyone something to bring. Make sure you tell your guests to bring their beverage of choice. If not, have plenty of options available for them, including non-alcoholic drinks. And double check that you have enough seating for everyone. If you run out of chairs, throw some pillows on the floor. 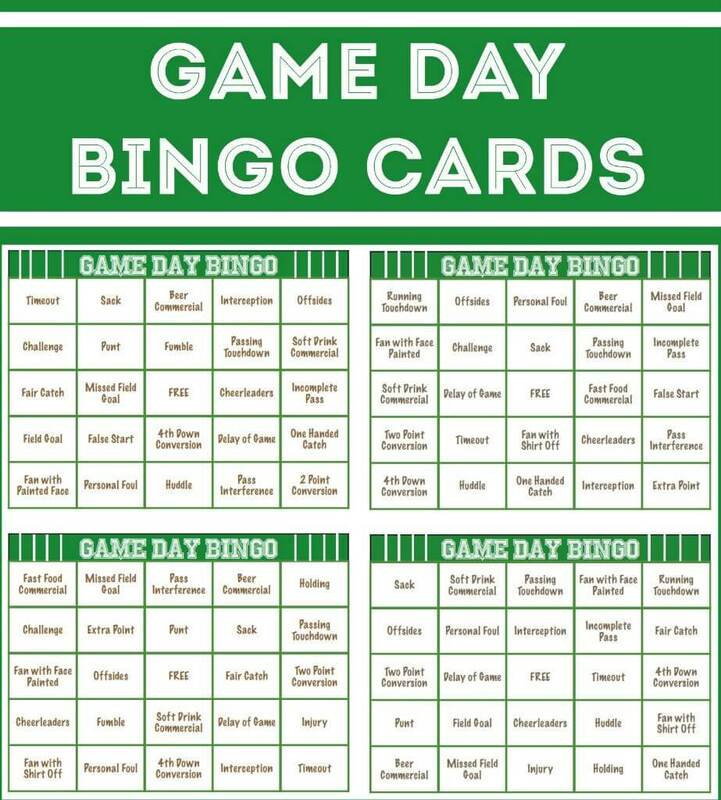 Print these Super Bowl bingo cards. 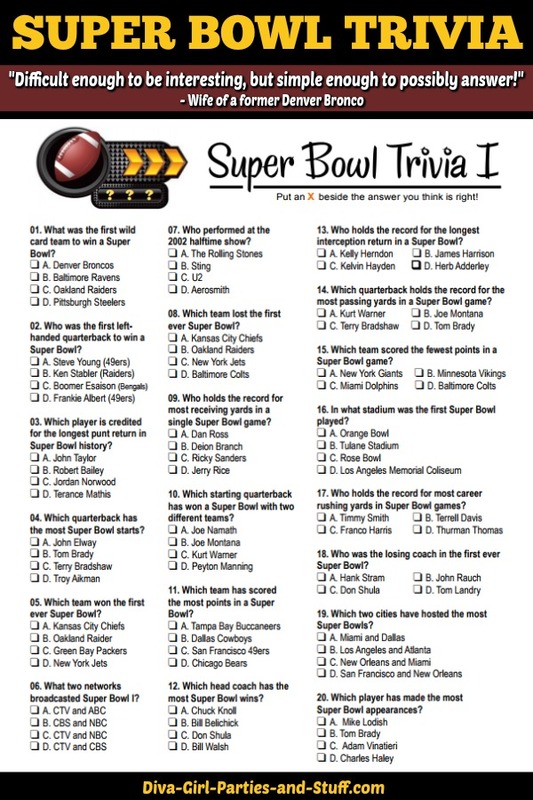 Print this Super Bowl trivia game, updated for 2019, and see how your guests do. Prop bet game: Find 10 of the most off-the-wall prop bets surrounding the game, and let your guests guess the result. Give each bet a weighted score and see who scores the highest. Touchdown dance contest: If you have guests who are the life of the party, ask them to partake in a dance contest every time a touchdown is scored. Rate the commercials: Print scorecards numbered one to five, and give them to your guests to hold up when a commercial is played. Copyright 2019 12NEWS. All rights reserved.